As we age, our skin loses its elasticity and ability to renew itself. As a result, the skin starts looking dull and loses its suppleness. This manifests into sagging skin and wrinkles. What starts as fine lines turns into deeper wrinkles. However, it is not entirely impossible to slow down the appearance of the signs of aging on the skin. Regular massage helps you keep your skin more elastic and provides it the right nutrients and required amount of circulation to rejuvenate itself. We tell you here how you can use facial massage to prevent wrinkles. How does a Massage Help? 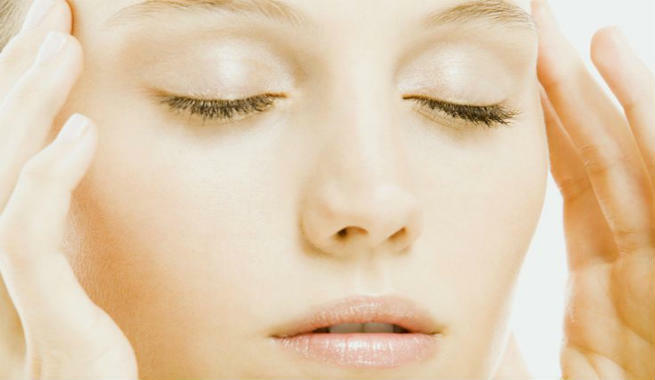 A facial massage will improve the blood circulation and the circulation to the lymph nodes. This in turn helps our skin get rid of all the dead cells and rejuvenate itself. It also tightens the skin and prevents sagging. When the blood flow to the skin increases, your skin starts looking more alive and youthful. Regular massage keeps your skin elastic and pliable, thereby preventing wrinkles. You could choose any nourishing oil like olive oil, grapeseed oil or jojoba oil for the massage. Add a capsule of vitamin E oil into the oil of your choice. It is an antioxidant that helps keep the skin young and supple. Since it is a heavy oil, it is advisable to limit the usage to one capsule mixed in a light oil like jojoba oil or grapeseed oil. You could also add in a couple of drops of anti-aging essential oils like sandalwood oil, geranium oil or clary sage oil. Start by cleansing your face with a facial cleanser. Follow it up with a toner to remove all the traces of grime and oil from your pores. Remember to always make all the strokes upwards since it helps work against the gravity which tends to pull your skin down. Start from your jaws. Start massaging upwards along the jawline. With your forefinger and middle finger and stroke the chin in outward movement, starting from under the lips and moving towards the cheeks. Next, massage under the cheekbones gently. Then keep the palm on the cheekbones. Slowly move it upwards until it reaches the temples. With your ring finger, start at the bridge of the nose, near the eyes. From there, move towards the gap between the eyebrows, along the arch of the brow until you reach the temples. At the temple, massage with the ring finger in circular motion. From the temple, move the ring finger inwards through the under eye area and get back to the bridge of the nose. Repeat a couple of times to get rid of puffy eyes. Moving on to the forehead, use all the four fingers of both hands alternatively to massage the forehead in upward movements. This will help erase the frown lines. Then using the tips of the fingers, tap all over your forehead to relax the forehead. The entire massage will not take more than five minutes once you do it a couple of times and get a hang of the technique. Do this once a week. Follow it up with an anti-aging facial mask to get maximum benefit from the massage.